La Familia Auto Insurance, an independent insurance agency serving the Dallas/Fort Worth area, has heralded the opening of a new office in Dallas to assist customers in Cockrell Hill and Grand Prairie. Each office is staffed with skilled independent agents who work to provide insurance for customers that offers the best mix of policy and price. La Familia Auto Insurance, an independent insurance agency serving the Dallas/Fort Worth area, has heralded the opening of a new office in Dallas to assist customers in Cockrell Hill and Grand Prairie. The rapidly expanding local market has created the need for the agency to expand in order to successfully serve customers with the customized care that the La Familia name is built upon. Each office is staffed with skilled independent agents who work to provide insurance for customers that offers the best mix of policy and price. La Familia Auto Insurance is recognized as a DFW market leader for inexpensive auto, home, renters, business, motorcycle and high-risk auto insurance, as well as surety bonds and notary services. The agency’s multiple locations cater to customers in Dallas, Fort Worth, Carrollton, Garland, Grand Prairie, Arlington, Plano, Lewisville and every other city in the Dallas area. 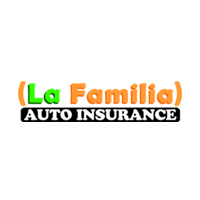 Individuals interested in Dallas auto insurance, along with a host of other policies can call La Familia Auto Insurance at (214) 306-7422 or stop by the new office at 920 S. Cockrell Hill Road, Dallas, TX 75211 for great service and comprehensive coverage. La Familia Auto Insurance is a quickly growing independent insurance agency, serving customers across the Dallas/Fort Worth metroplex in Texas. As an independent agency, La Familia Auto Insurance evaluates the needs of customers and shops for policies on their behalf in order to provide exceptional coverage and customer service. For more information, visit us online at LaFamiliaInsurance.com.